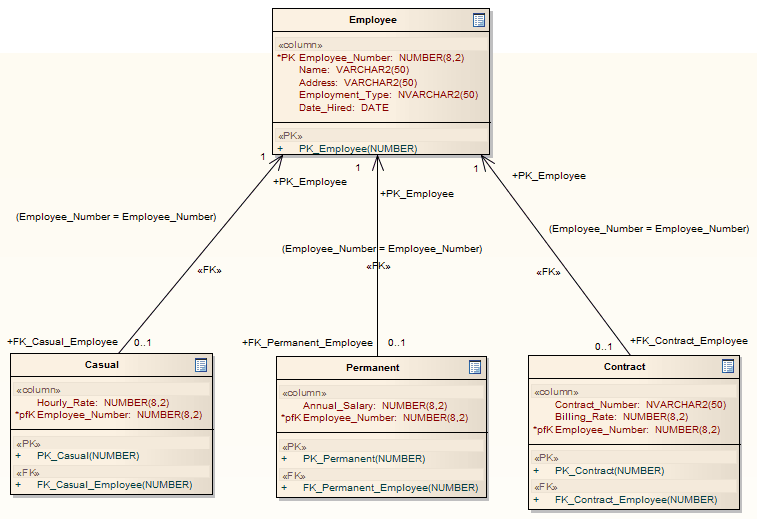 The Entity Relationship Diagram (ERD) to Data Model transformation converts an ERD logical model to a data model targeted at the default database type, ready for generating DDL statements to run in one of the system-supported database products. Before doing the transformation, you define the common data type for each attribute and select a database type as the default database. 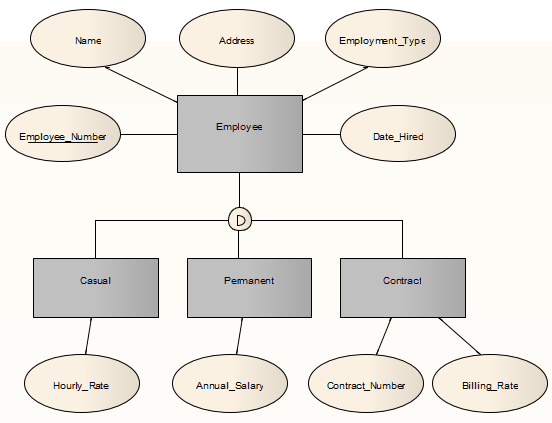 You can then automatically generate the data modeling diagram. The transformation uses and demonstrates support in the intermediary language for a number of database-specific concepts. ERD technology can handle Generalization, as shown. Note that the copy-down inheritance is currently supported with two levels only.